Welcome To Costa Rica FAD Fishing! Welcome to Costa Rica FAD Fishing. We are the number one choice for anyone who wants to enjoy the thrill of Costa Rica FAD fishing, also known as the Sea Mounts! Costa Rica is one of the world’s leading fishing destinations, and it is not difficult to see why. Not only do you have a huge range of species to test yourself against, but the backdrop of the country is truly beautiful, from the crystal clear waters, to the exquisite white sands, to the luscious rainforest. There is nowhere else like it. A lot of people are interested in FAD fishing when they come to Costa Rica nowadays. This is a tactic that has long been used in the commercial sector, however, it is fairly recent when it comes to sports fishing. FAD stands for ‘fish aggregating device’. It is essentially an object that is used to attract ocean going pelagic fish, such as Mahi-Mahi, Yellowfin Tuna, Skipjack Tuna, Mackerel, Wahoo, Dorado, Bigeye Tuna, and, of course, Marlin. 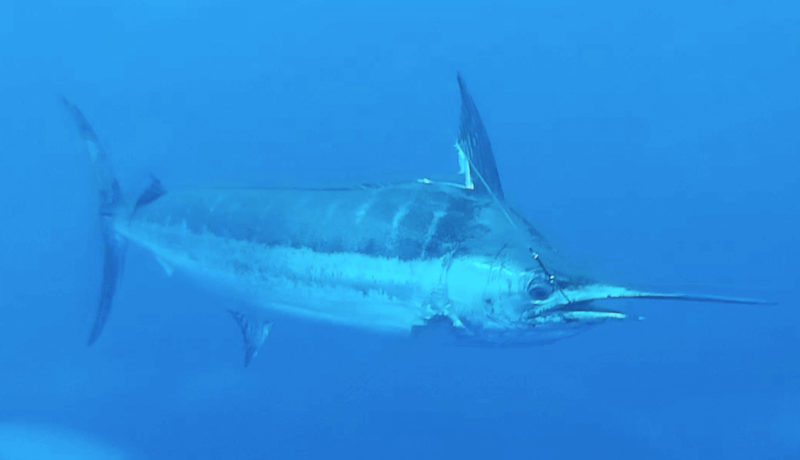 The Blue Marlin, in particular, is considered a real prize for those enjoying Quepos fishing FADs. These buoys come in various sizes and shapes, which is why they are able to attract a huge number of fish, with different species being attracted for different reasons. For example, large predators, like Tuna and Marlin, congregate around FADs to feed, whereas small bait fish are naturally attracted to these devices and often find refuge around them. The fish won’t remain stationary; they will move around the device in differing orbits. Fishing FADs in Quepos, Costa Rica, is popular because it means that anglers can expect to hook ten or more Marlin per trip, and that’s at a minimum! There are plenty of stories about anglers raising more than 30 Marlin and releasing half of them in just one day, and they are certainly not myths. Quepos FAD fishing is particularly popular because of the sheer diversity of fish that are found in the waters here. While fishing FADs in Costa Rica can reap incredible results, you do need a crew that has a great deal of knowledge and skill. You can be sure this is the case when you choose Quepos Marlin Fishing Charters. We have plenty of experience in fishing FADs, and we know the Quepos waters like the back of our hands. You can be confident that you are in the safest hands. 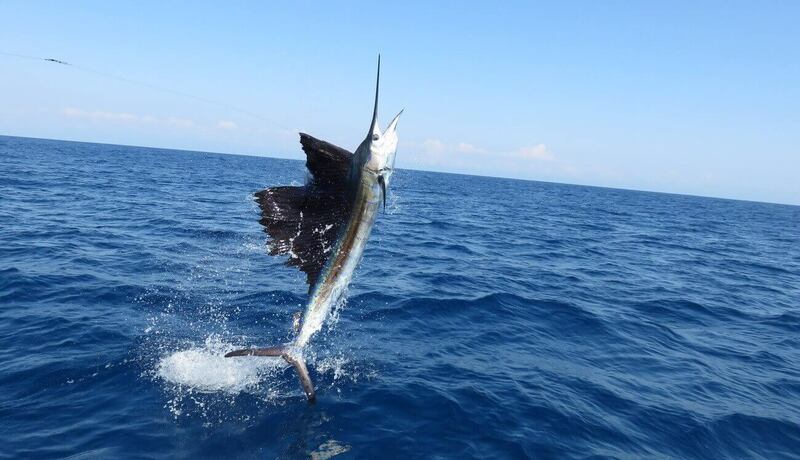 We even offer Quepos overnight Marlin fishing, which really is an incredible experience. One of the great things about our service is that we tailor it to suit you. It is always our aim to make sure you have the most thrilling experience possible, whether you are a beginner or a novice angler. You will learn loads throughout the trip, and we will make sure you engage in some incredible battles along the way. Please don’t hesitate to get in touch to discover more about our available Costa Rica FAD fishing excursions. We’d be delighted to explain more about FAD fishing and the options we have available. For those based in Costa Rica, you can reach us on 506-8712-9684. Our international phone number is 877-898-4999. Alternatively, send an email to info@fadfishing.com and we will get back to you as soon as possible. Powered by twin brand new CAT 650hp engines! This boat is equipped with Shimano TLD reels, LP1200 electric dredge reels, fighting chair, tuna tubes, life raft, satellite phone, A/C salon, entertainment systems, DVD/TV in the downstairs salon, full bathroom. 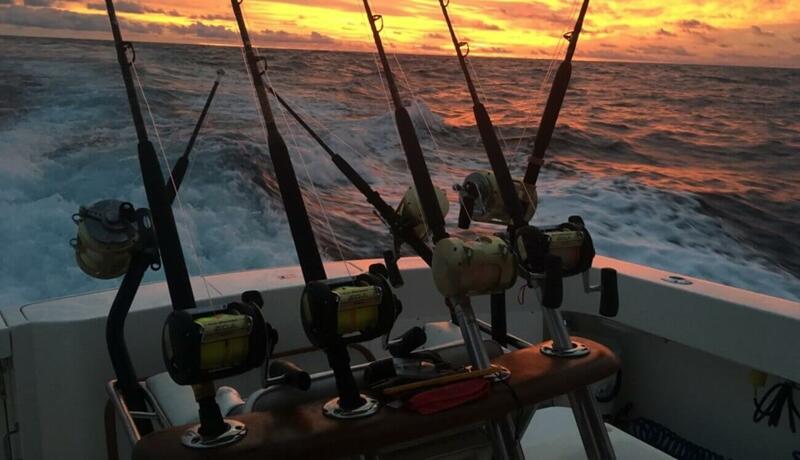 The Ultimate Offshore Experience: Maximum time at the seamounts with three 12-hour fishing days at the sea mountsanchored 70-150 miles from Marina Pez Vela for the best blue marlin fishing on the planet! The Best and Most Experienced Crew in Costa Rica! We’d love to have you come fishing with us. Call us at 877-898-4999, or email info@fadfishing.com. I have been working with Jake for the last 3 days. I have never been treated better in my life. I will book all of my fishing plans with Quepos and will ask for Jake as much as possible. Best experience EVER! Thank you gentlemen. Interested in FAD Fishing? Call Us Now on 877-898-4999 or Click on the Button Below!